New and Improved Gluten-free Vegan Banana Nut Bread | Love.Laugh.Run.Yoga. 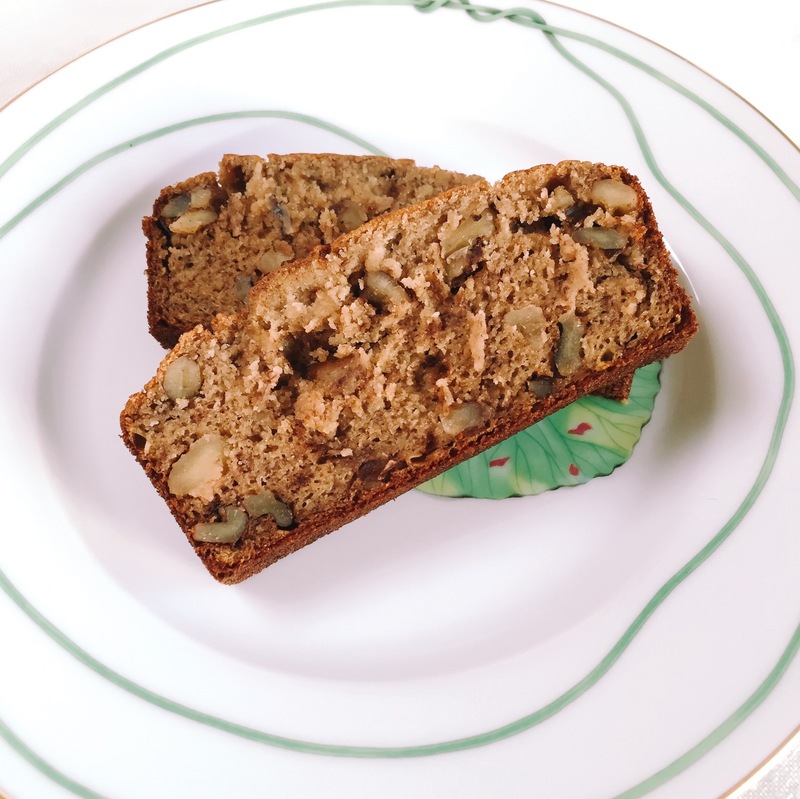 This is a new take on my banana nut bread, it’s much simpler and a great hit with the whole family. I love using coconut palm sugar because it’s low glycemic and very yummy. *I try to use all organic ingredients and with this recipe they’re usually pretty easy to find. In a mixing bowl combine: butter, sugar, eggs, and bananas. In a separate bowl combine: flour, salt, baking soda, and baking powder. Combine the two mixtures together and when fully incorporated, add walnuts. Pour the mixture into a bread pan and bake for about 50-60 min.